Black Diamond is an American sporting goods store aimed at climbers and skiers who are in the market for tough and durable equipment. For high-quality apparel, including jackets, pants and accessories, Black Diamond offers a wide selection for the outdoor enthusiast. With Big Apple Buddy’s personal shopping service, you can now buy direct from the Black Diamond online store anytime, anywhere. 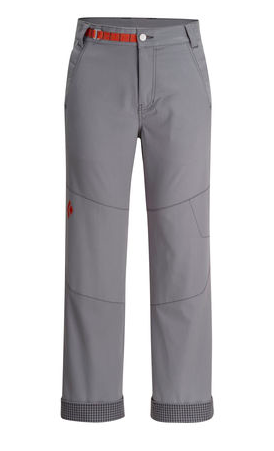 Climb like the professionals with the Black Diamond's Men's Dogma Pants! Available in multiple colors, you'll be sure to find a hue to complement your outfit. The tough material protects you from the harsh weather while remaining flexible so you can move around comfortably. With reinforcements on the seat and the knees for when you need it, these pants are extremely durable and can take on any adventure with you! 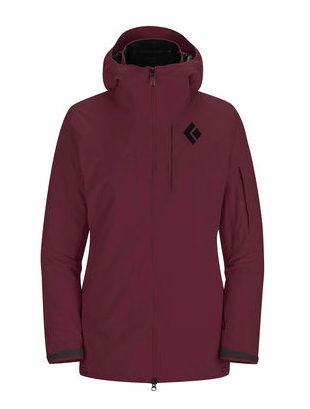 The Black Diamond's Mission Ski Shell is the only jacket you'll ever need! With waterproof and breathable fabric, you'll be sure to stay dry and comfortable throughout the day. 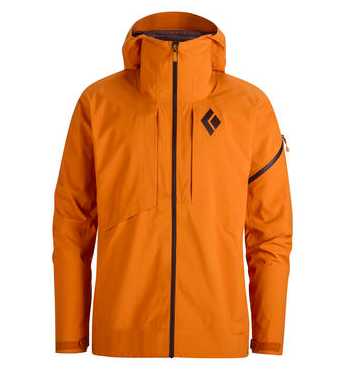 Move around as much as you want with the versatile nature of this jacket that will facilitate all kind of ski moves. Got a ski helmet? No problem! The Mission Ski Shell's hood is helmet compatible so you can be safe and warm. For the ladies, the Black Diamond's Zone Ski Shell will be your best new companion for any snow adventure! With its tough material that is waterproof and warm for those bone-chilling days, this lightweight jacket combines the best of both worlds as you'll be free to move around but stay protected. The concealed zip chest pocket allows you to carry around what you need without feeling bulky. Unfortunately, the USA Black Diamond online store does not currently offer international shipping. However, Big Apple Buddy, your personal shopper, can help you buy products direct from the official USA Black Diamond online store and ship them to your doorstep, no matter where you are in the world. We offer international shipping to over 110 countries including Australia, Austria, Azerbaijan, Bahrain, Belgium, British Virgin Islands, Brunei, Bulgaria, Canada, Chile, Costa Rica, Croatia, Czech Republic, Denmark, Estonia, Fiji, Finland, France, French Polynesia, Germany, Gibraltar, Greece, Greenland, Hong Kong, Hungary, Iceland, Indonesia, Ireland, Israel, Italy, Japan, Jordan, Kuwait, Latvia, Liechtenstein, Lithuania, Luxembourg, Macau, Malaysia, Maldives, Malta, Marshall Islands, Mauritius, Monaco, the Netherlands, Netherland Antilles, New Zealand, Norway, Oman, Poland, Qatar, Romania, San Marino, Saudi Arabia, Serbia and Montenegro, Seychelles, Singapore, Slovak Republic, Slovenia, Spain, South Africa, St. Lucia, Sweden, Switzerland, Taiwan, Thailand, the UAE, the UK, Vatican City, and Vietnam. If you would like to buy from the USA Black Diamond online store, simply let us know which items you would like to order (by filling out the form below) and we’ll get back to you with a free international shipping quote within 24 hours!